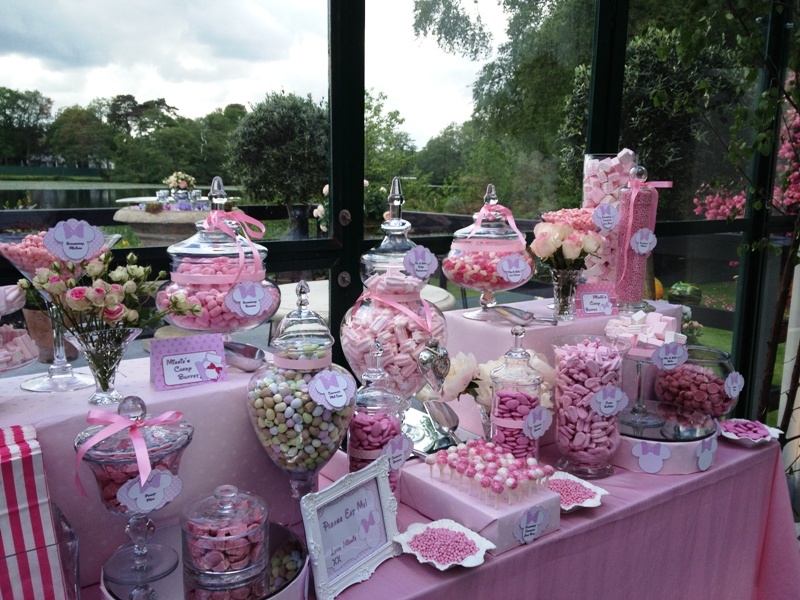 Sweetie Factory was commissioned .to create a pink candy buffet for a Minnie Mouse themed private party in Cheshire. 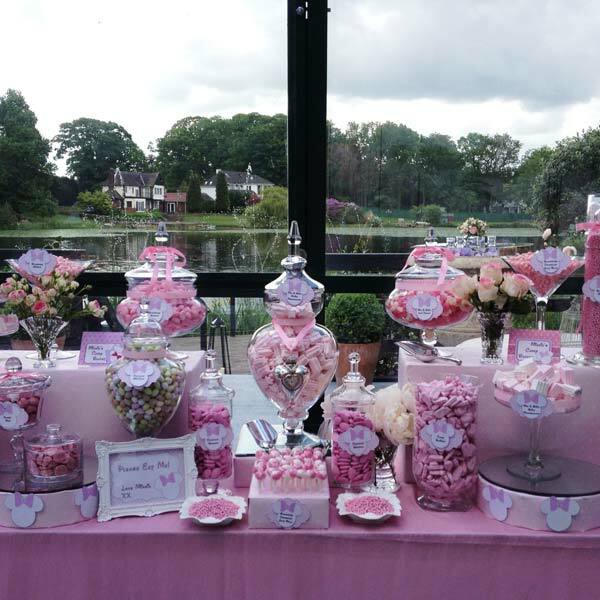 With a gorgeous location and backdrop of the lake we added all pink and white sweets including candy shrimps, pink and white jelly hearts, strawberry bonbons and mini eggs to name a few of the candies. 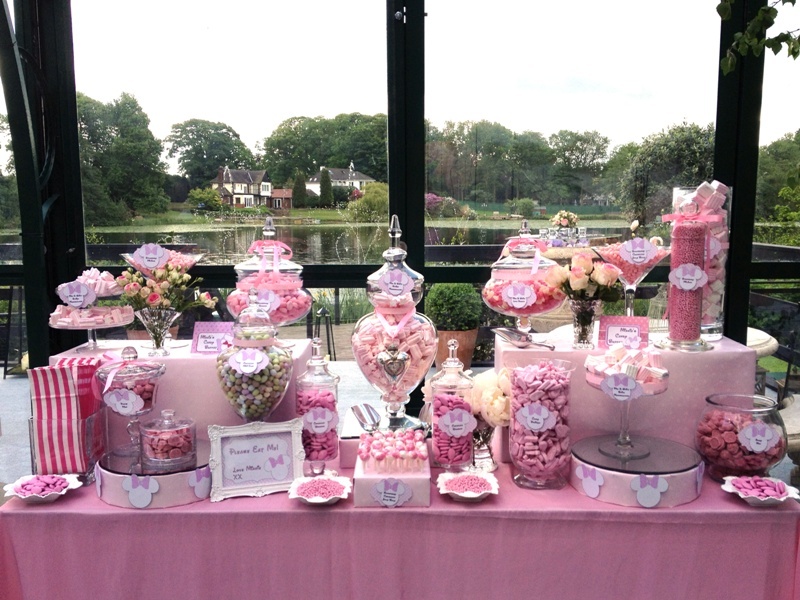 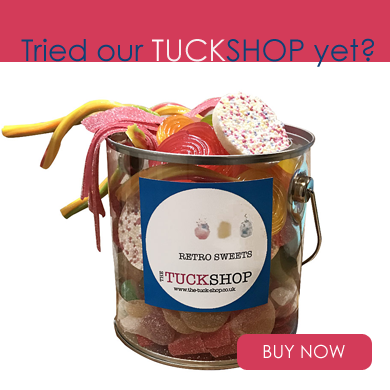 Specialist items such as Pink Jelly Beans and Pink Chocolate Dragees made this a vison to the eyes as well as a yummy to the tummy candy buffet. 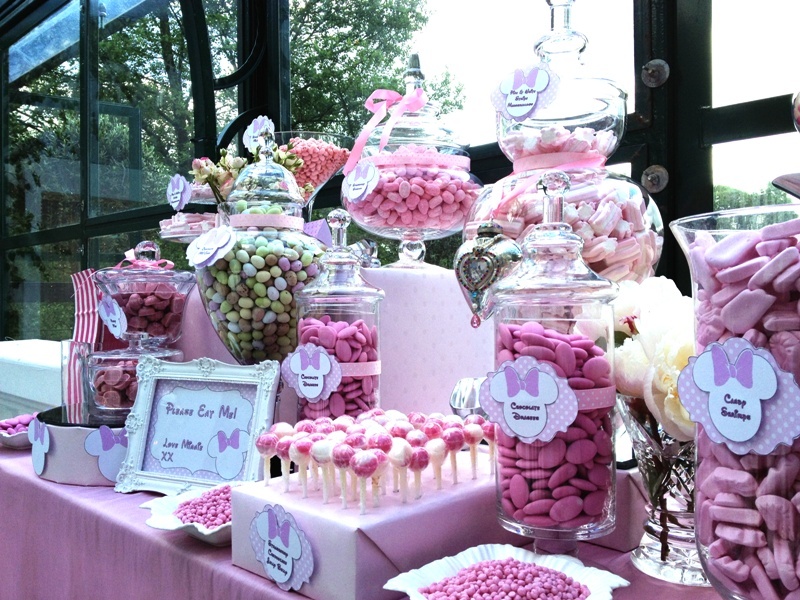 This Buffet had some specialist ideas included.